However with the evolution of hacking tools out there and the boom of Web security XSS / CSS / Database injections and PHP scripts vulnerability catching an intruder especially spammers has been becoming more and more hard to achieve. Just lately a mail server of mine's load avarage increased about 10 times, and the CPU's and HDD I/O load jump over the sky. I started evaluating the situation to find out what exactly went wrong with the machine, starting with a hardware analysis tools and a physical check up whether all was fine with the hardware Disks / Ram etc. just to find out the machine's hardware was working perfect. I've also thoroughfully investigated on Logs of Apache, MySQL, TinyProxy and Tor server and bind DNS and DJBDns which were happily living there for quite some time but didn't found anything strange. As I was unsure wheteher the scripts were not also mirrored under other subdirectories of Joomla or WP Blog I had to scan further to check whether there are no other scripts infected with malware or trojan spammer codes, webshells, rootkits etc. I've used 2 tools to scan and catch malware the trojan scripts and make sure no common rootkit is installed on the server. 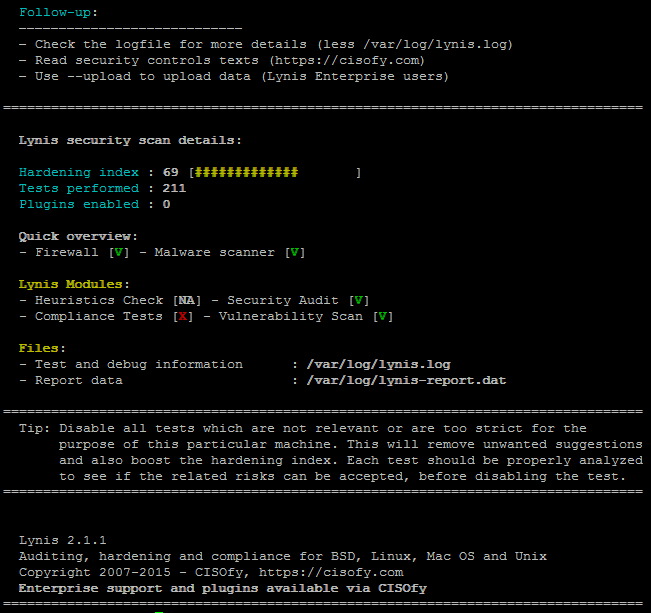 Lynis is actually the well known rkhunter, I've used earlier to check servers BSD and Linux servers for rootkits. Plenty of things will be scanned but you will be asked on a multiple times whether you would like to conduct different kind fo system services and log files, loadable kernel module rootkits and common places to check for installed rootkits or server placed backdoors. That's pretty annoying as you will have to press Enter on a multiple times. Lynis suggests also a very good things that might be tampered to make the system more secure, so using some of its output when I have time I'll work out on hardening all servers. 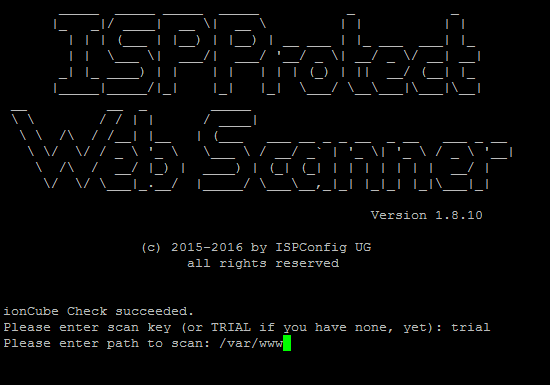 ISPProtect is a malware scanner for web servers, I've used it to scan all installed CMS systems like WordPress, Joomla, Drupal etc. 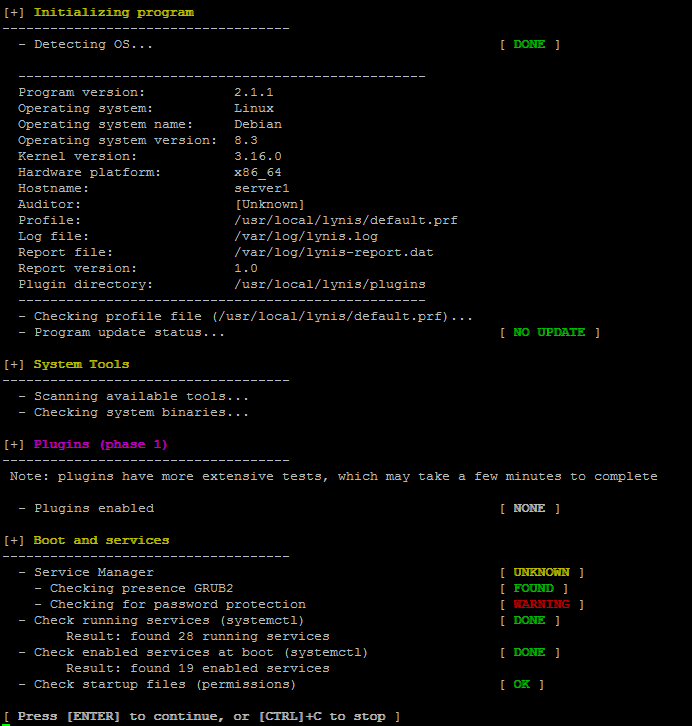 ISPProtect is great for PHP / Pyhon / Perl and other CMS based frameworks. ISPProtect contains 3 scanning engines: a signature based malware scanner, a heuristic malware scanner, and a scanner to show the installation directories of outdated CMS systems. Unfortunately it is not free software, but I personally used the FREE TRIAL option which can be used without registration to test it or clean an infected system. I first webserver first locally for the infected site and then globally for all the other shared hosting websites. As I wanted to check also rest of hosted websites, I've run ISPProtect over the all bunch of installed websites. You will be shown the scan progress, be patient because on a multiple shared hosting servers with few hundred of websites. Unfortunately ispprotect is quite expensive so I guess most small and middle sized shared hosting companies will be unable to afford it. But even for a one time run this tools worths the try and will save you an hours if not days of system investigations. I'll be glad to hear from readers if aware of any available free software alternatives to ISPProtect. The only one I am aware is Linux Malware Detect (LMD). I've used LMD in the past but as of time of writting this article it doesn't seems working any more so I guess the tool is currently unsupported / obsolete.